Here are some auto liability coverages that are often included in broadening endorsements. Unlike the standard general liability policy, the ISO business auto policy provides no automatic coverage for newly acquired or formed entities. Thus, some insurers include this coverage in their endorsements. It typically applies to any company you acquire or form after the policy inception date. The new entity must be majority-owned by the company listed on your policy (the named insured). No automatic coverage is provided for new partnerships, joint ventures or limited liability companies. New entities are generally covered for a specified period of time, such as 90 or 120 days. For coverage to be extended after that time period has elapsed, you must ask your insurer to add the new company to your policy. You must also pay the additional premium charged by your insurer. 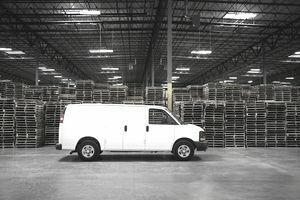 The coverage called Employees as Insureds amends the "Who Is An Insured" section of a commercial auto policy. It covers your employees while they are driving non-owned autos, including vehicles they own themselves. In the absence of this coverage, employees are insureds only while driving autos your company owns or hires. Note that Employees as Insureds coverage applies on an excess basis (over other collectible insurance). This means that if an employee diving his or her personal auto on business is involved in an accident and is sued as a result, the employee will be covered by your commercial auto policy after the worker's personal coverage has been used up. Under the standard commercial auto policy, employees are insureds for liability coverage while driving covered autos owned or hired by the named insured (employer). Employees are not insureds while driving autos they have rented in their name, even if the autos are used on behalf of your business. When the coverage called Employee Hired Autos is added to your policy, employees are automatically covered when driving rental vehicles they have hired in their name. This coverage applies as long as they are operating the vehicle for business purposes and with your permission. This coverage deletes the fellow employee exclusion in the policy. It affords coverage for a bodily injury suit by one employee against another. This coverage can be important if you state permits employees to sue other employees for injuries sustained on the job. There are some extensions that are often provided under auto physical damage coverage. Auto physical damage coverage contains an exclusion for wear and tear, freezing, and mechanical or electrical breakdown. Because of this exclusion, your insurer will not pay for damage to a covered auto caused by an accidentally-deployed airbag. Airbag coverage is provided by adding an exception to the mechanical or electrical breakdown portion of the exclusion. This coverage may be excess over any other collectible insurance or a warranty you may have. Auto lease gap coverage applies if a vehicle you lease long-term has sustained a total loss, and the amount you owe on the lease exceeds the actual cash value of the vehicle. For example, you owe $15,000 on your lease, but the vehicle's actual cash value has been assessed at only $10,000. Your lease gap coverage will pay the remaining $5,000. No coverage applies to penalties imposed by the lessor for excessive use, high mileage or abnormal wear and tear. Loan Gap coverage is similar to auto lease gap coverage except it applies to an outstanding auto loan. Chips or cracks in an auto windshield can often be repaired. The cost to repair the glass may be significantly less than the price of a new windshield. Thus, some insurers will waive the deductible on comprehensive or collision coverage (whichever applies), when broken glass is repaired rather than replaced. Some extended coverage endorsements include hired auto physical damage coverage. Typically, this coverage applies only if the policyholder has already insured hired autos for liability coverage. Moreover, all autos owned by the business must be insured for physical damage. That is, a hired auto will not be covered under comprehensive or collision unless all company-owned autos are insured for that coverage. When provided automatically, hired auto physical damage is usually subject to a limit, such as $50,000. If a hired auto is damaged or destroyed, the insurer will pay no more than the specified limit or the actual cash value of the vehicle, whichever is less. A deductible normally applies. Some endorsements make changes to the conditions or definitions in the policy. The ISO business auto policy requires you, the named insured, to give the insurer prompt notice of any accident, claim, suit or loss. This requirement can be problematic if an employee becomes aware of an accident but fails to report it to your firm's management. When your firm does file a claim, the insurer could deny coverage on the basis that you failed to comply with the reporting requirement. This "notice of accident or claim" amendment is designed to prevent such problems by amending the notification requirement. It typically states that knowledge of an accident or loss by an employee will not constitute knowledge by the named insured unless certain company principals are aware of the incident. Such principals may include the named insured individual (of a sole proprietorship), a partner (of a partnership), a member (of a limited liability company), or a corporate officer or insurance manager (of a corporation). Many auto insurers will amend the policy conditions to include a waiver of subrogation provision. While the waiver language varies, it typically states that if the named insured has waived its rights via a written contract to sue a particular party, the insurer will waive its rights to sue that party as well. The standard auto policy states that the insurer may void the policy if you commit fraud related to your auto coverage. Your policy may also be voided if you or any other insured intentionally conceal or misrepresent a material fact related to your policy, the covered auto (or your interest in it), or a claim you've filed under the policy. For example, you file a claim for physical damage to a covered auto under your collision coverage. The insurer voids your policy after learning that the auto is owned by your neighbor rather than your business. State laws may restrict your insurer's ability to void your policy. Many insurers will add an exception to the fraud provision for the unintentional failure to disclose hazards. The exception generally states that the insurer will not deny coverage for a claim based on your unintentional failure to disclose, or your unintentional misrepresentation of, a material fact. Once you've discovered the error, you must report it to your insurer promptly. This amendment changes the definition of bodily injury. It expands the definition to include mental anguish that that results from bodily injury, sickness or disease. Its intent is to cover mental anguish that results from a physical injury.